Professional White Rubber Roof: Complete Installation Kit - 1,500 sq.ft. First Rate Materials&n..
Professional White Rubber Roof: Complete Installation Kit - 10,000 sq.ft. First Rate Materials&..
Professional White Rubber Roof: Complete Installation Kit - 2,000 sq.ft. First Rate Materials&n..
Professional White Rubber Roof: Complete Installation Kit - 2,500 sq.ft. First Rate Materials&n..
Professional White Rubber Roof: Complete Installation Kit - 3,000 sq.ft. First Rate Materials&n..
Professional White Rubber Roof: Complete Installation Kit - 5,000 sq.ft. First Rate Materials&n..
Professional White Rubber Roof: Complete Installation Kit - 50,000 sq.ft. First Rate Materials&..
Professional White Rubber Roof: Complete Installation Kit - 7,500 sq.ft. 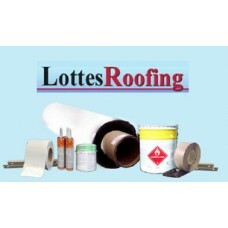 First Rate Materials&n..
Professional White Rubber Roof: Complete Installation Kit - 150 sq.ft. First Rate Material..
Professional White Rubber Roof: Complete Installation Kit - 200 sq.ft. First Rate Material..
Professional White Rubber Roof: Complete Installation Kit - 250 sq.ft. First Rate Material..
Professional White Rubber Roof: Complete Installation Kit - 300 sq.ft. First Rate Material..
Professional White Rubber Roof: Complete Installation Kit - 320 sq.ft. First Rate Material..
Professional White Rubber Roof: Complete Installation Kit - 350 sq.ft. First Rate Material..
Professional White Rubber Roof: Complete Installation Kit - 370 sq.ft. First Rate Material..